View Cart “Diatomaceous Earth – 4 oz package” has been added to your cart. Saccharomyces boulardii by Ortho Molecular * Store at a temperature less than 80 degrees after receiving the product. Please see shipping information on the left side of this page. Ingredients: Saccharomyces boulardii, Natural Vegetable Capsules, Microcrystalline Cellulose, Magnesium Stearate, Silicon Dioxide. Saccharomyces boulardii is a health-promoting, probiotic yeast that helps destroy candida. 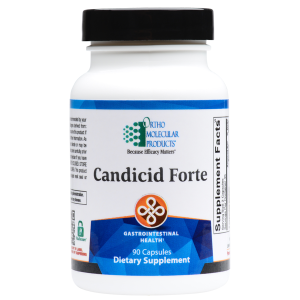 This important supplement is crucial to the success of the Kick Candida for Good program.